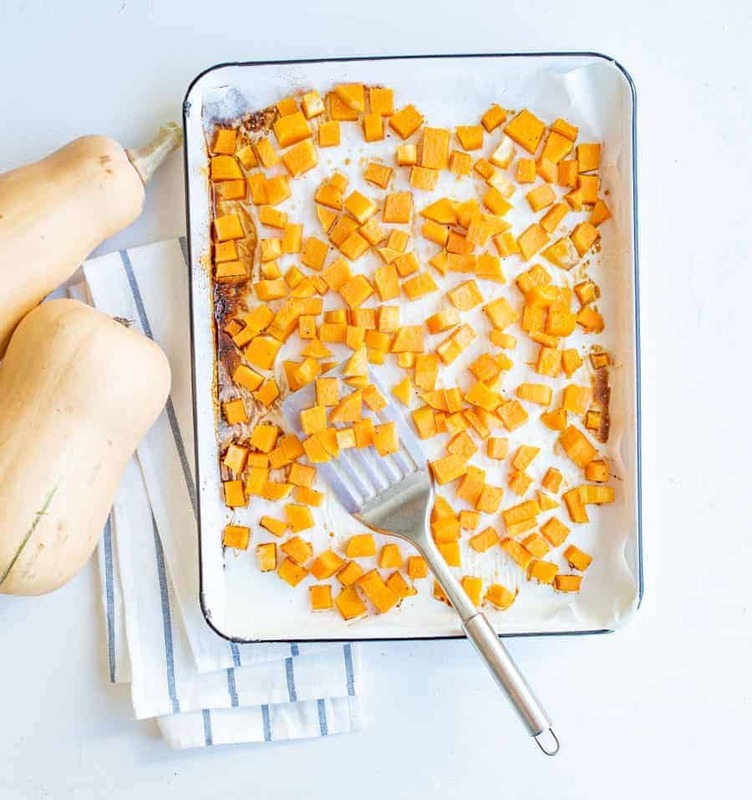 Wondering how to roast butternut squash in the oven? 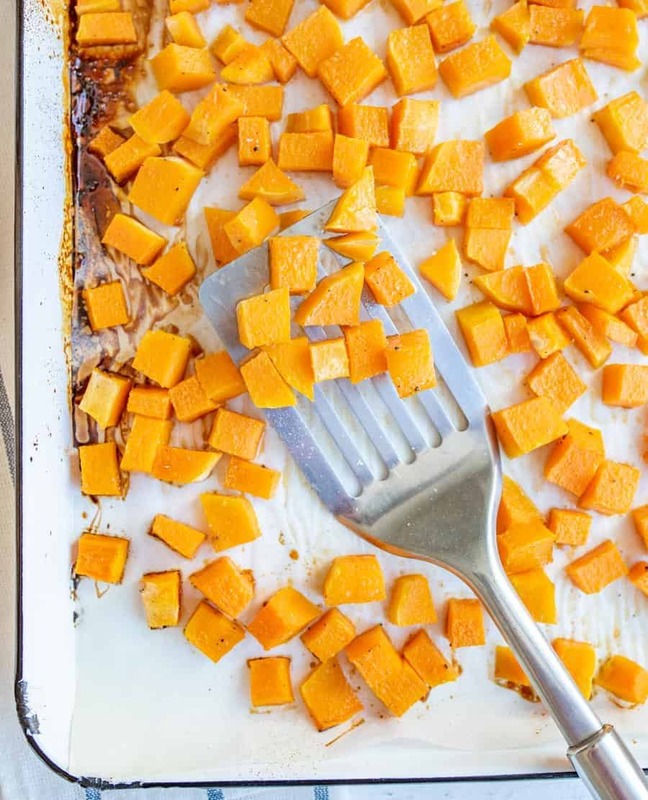 Try this quick and easy recipe for maple roasted butternut squash cubes – a perfect healthy side dish. I don’t remember eating a lot of hard winter squash when I was a kid. Zucchini yes, but winter squashes like butternut, acorn, and spaghetti squash were newer to me in adulthood. Even though I’ve only been eating hard squashes for a decade I love them. So much! Squash is sweet, nutritious, easy to prepare, inexpensive, and stores really well (so you can stock up when they are on sale). I have also had great luck at growing my own winter squash in my garden. They grow just like a pumpkin! 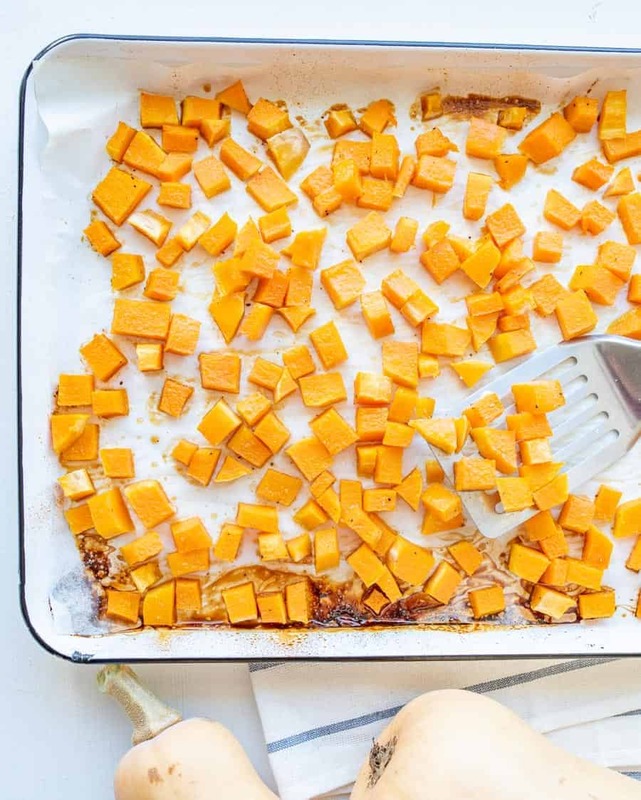 Maple roasted butternut squash is one of the simplest ways to prepare butternut squash. You simply peel and cube it, toss it with salt, oil, and maple, and cook it in the oven. The key is to cook it covered for the first half of cooking. This helps to steam the squash so that it cooks through without burning on the outside. Then you uncover it for the second half of the cooking time so that it can crisp up on the bottom. Delicious! 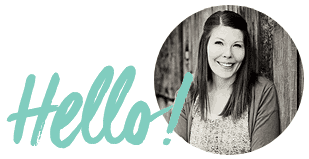 Serving suggestions and tips and tricks follow. Be sure the check them out. This is a great candidate for pre-cut and peeled squash you can pick up at the grocery store if you are short on time. Feel free to add herbs or ground cinnamon if you like. I love a dash of cinnamon and a little extra sprinkle of coarse salt on this dish. I also love a pinch of dried sage (sometimes called rubbed sage) and a dash of garlic salt for a more savory flavor. When buying butternut squash, be sure to get one that is firm and blemish free (no nicks or bruises). It’ll store a few weeks (even months) so feel free to stock up when they go on sale. This is a great stand alone side dish, but you don’t have to stop there! Mix the roasted squash with a can of black beans and add some taco seasoning! Awesome meatless taco filling. Toss cold roasted butternut squash cubes with your favorite spinach salad. Add to your favorite chili for texture and color. Make a fall quinoa salad with cooked quinoa, roasted squash, shredded Brussels, and a simple oil and vinegar dressing. Top with dried cranberries and some pumpkin seeds. 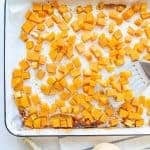 Quick and easy recipe for maple roasted butternut squash cubes. A healthy side dish recipe cooked in the oven and perfect for busy weeknight dinners. Preheat your oven to 400 degrees F. Line a rimmed baking sheet or a 9×13 inch pan with parchment paper or a baking mat. Cube your butternut squash if needed (removing the seeds and skin first). Place the squash in a medium bowl and add the olive oil, maple, and 1/4 teaspoon salt. Stir to evenly coat the squash. 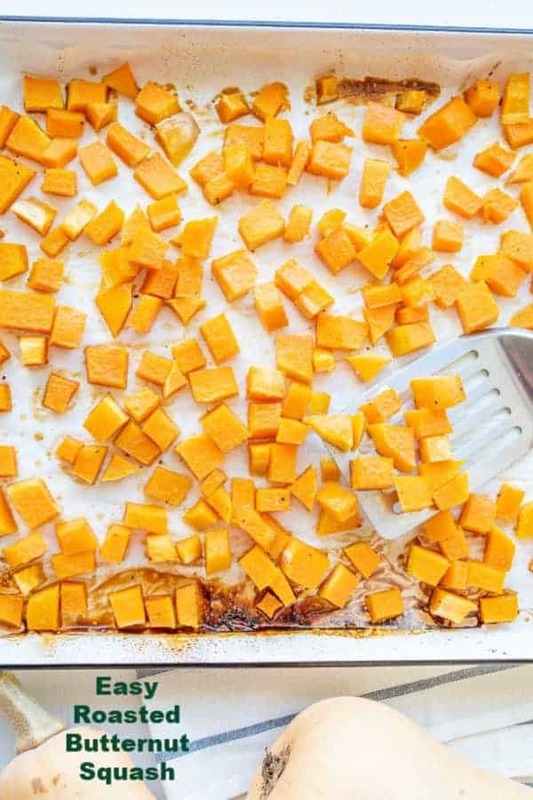 Add the squash to the prepared pan, spreading it out to make one even layer. Cover the pan with foil and bake for 20 minutes. Remove the foil and bake for another 15-20 minutes until the squash is fork tender. Remove from the oven, adjust the salt and pepper to taste, and serve hot. When buying butternut squash, be sure to get one that is firm and blemish-free (no nicks or bruises). It’ll store a few weeks (even months) so feel free to stock up when they go on sale. You can also prep the squash like this ahead of time, chill it, and serve it cold in salads. 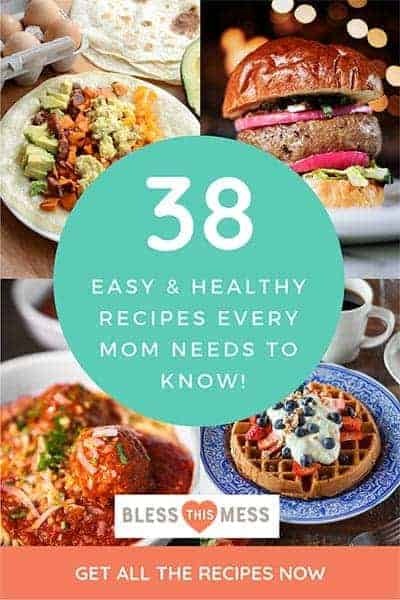 Sometimes simple food is the best food and I know that you are going to love how delicious this very simple recipe is. It’s one that you’ll make again and again because it just works! Enjoy from my kitchen to yours.